Sadly, the economic downturn has put a squeeze on the piracy business. The Somali pirates have dropped $10 million from their initial request of $25 million for the captured Saudi tanker. A Somali Islamist leader said the ransom for the hijacked supertanker Sirius Star has been reduced from 25 to 15 million dollars. “Middlemen have given a $15 million ransom figure for the Saudi ship. That is the issue now,” said Abdurrahim Isse Adou, the spokesman of the Islamic Courts Union quoted by various media reports. 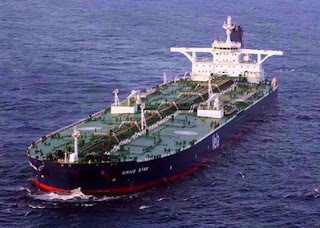 Saudi oil giant Aramco’s subsidiary Vela International owns the hijacked supertanker Sirus Star, which has a 25-member crew on board from Poland, Britain, Croatia, Saudi Arabia and the Philippines. The tanker is fully loaded with two million barrels of oil worth over 100 million dollars.